In 1964, Holdsworth changed the Grubb badge to this one with crossed racing flags. 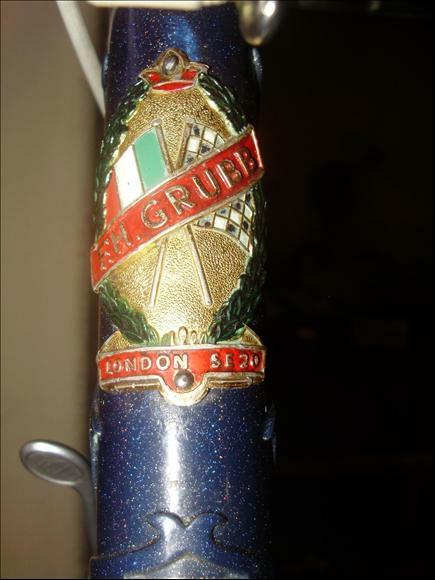 The Italian flag is probably a reference to the fact that Fred Grubb had ridden in the Giro D'Italia. S.E.20 is the section of London where Grubbs were built at the Holdsworth works at Lullington Road (Crystal Palace). After Fred Grubb died in 1949, his son "Freddie" sold the business to Holdsworth in 1952.